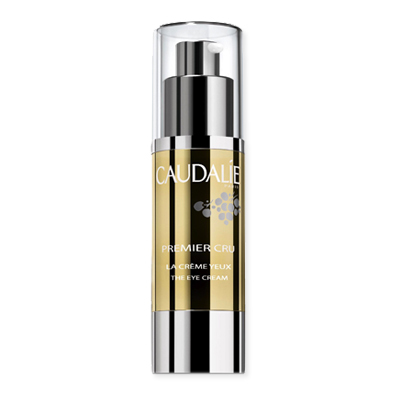 Thompson Alchemists started carrying Caudalie at the end of February. At first I thought it would be similar to other lines that we carry, but now I can say it surely stands alone! About three weeks ago my eyes were feeling like they could use some help. They were feeling dry and, to my extreme displeasure, I could see some wrinkles. I said to myself, “let me try the Premier Cru Eye Cream” . The cream is made with Grape Polyphenols, Viniferine and Resveratrol. Now, my eyes feel firmer and smoother and more radiant. It also helps with dark spots. You need to try this product, the experience is sublime! No more dryness, my dark spots are diminished and my wrinkles are smoothed. Please come by and get some samples of the Premiere Cru and other Caudalie products. Better yet, come to our event on Saturday April 21st. From 11:00 AM to 5:00PM. Call us to book an appointment at 212-598-4040. There will be lots of give aways and also a chance to win a gift basket valued at $200.00!